The Challenged Athletes Foundation provides opportunities and support to people with physical challenges. CAF believes that involvement in sports at any level increases self-esteem, encourages independence, and enhances quality of life. To that end, they organize activities around the goal of helping their constituents pursue active lifestyles through physical fitness and competitive athletics. They are one of our favorite organizations, and in addition to the Christmas Coma and the NorCal, we have also sponsored their Million Dollar Challenge for the last four years. 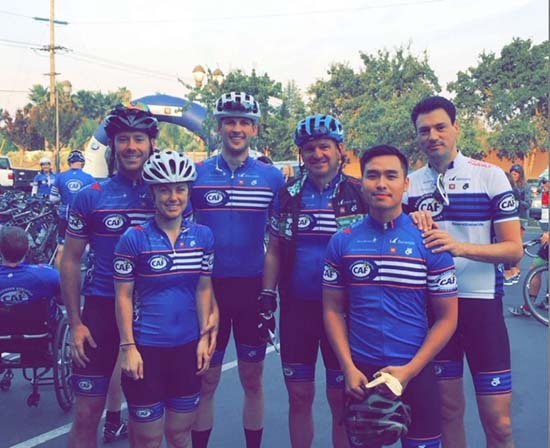 Barracuda sponsored the event and our riders raised thousands more, bringing our contribution to about $30,000. Inside Channel Representative Mauricio Astacio served as a Ride Leader, which means he assisted other riders in the event. 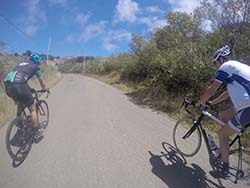 NorCal Ride Leaders guide others to make sure no one is getting lost or being left behind along the route. They also assist in the event of a mechanical issue until a support vehicle can arrive, and they triage any potential medical emergency. This was Mauricio's second year as a Ride Leader. Mauricio was joined by Duy Pham, Barracuda Territory Manager – Network Security & Application Delivery , and Tom Bingham, Barracuda Business Development Manager. Duy and Thomas also recruited others into the event. As someone who only rides casually [30-50 miles/week], this was the most challenging event I’ve ever experienced. It was great to have so many contributors of all ages and fitness levels get out there and do their best as well. Every push on the pedal in the scorching heat, up every never-ending hill; was for every athlete who could not do the same thing. That was the shared mentality among all riders. Riders included former firefighter Sean Simonson and former pro-surfer Christiaan Bailey. Sean and Christiaan competed in the event and took the time to speak to the riders each night. By sharing their experiences as challenged athletes, Sean and Christiaan enriched the experience for everyone. 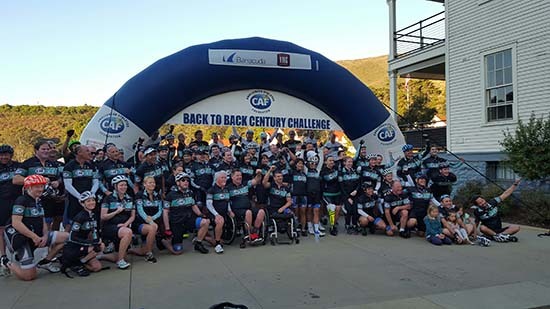 The CAF NorCal was a great success, with 85 riders raising approximately $440,000 for the Challenged Athletes Foundation. If you'd like to learn more about the Challenged Athletes Foundation, visit their website here.